War-torn deserts, jihadist killings, trucks weighted down with contraband and migrants—from the Afghan-Pakistan borderlands to the Sahara, images of danger depict a new world disorder on the global margins. With vivid detail, Ruben Andersson traverses this terrain to provide a startling new understanding of what is happening in remote “danger zones.” Instead of buying into apocalyptic visions, Andersson takes aim at how Western states and international organizations conduct military, aid, and border interventions in a dangerously myopic fashion, further disconnecting the world’s rich and poor. Using drones, proxy forces, border reinforcement, and outsourced aid, risk-obsessed powers are helping to remap the world into zones of insecurity and danger. The result is a vision of chaos crashing into fortified borders, with national and global politics riven by fear. Andersson contends that we must reconnect and snap out of this dangerous spiral, which affects us whether we live in Texas or Timbuktu. 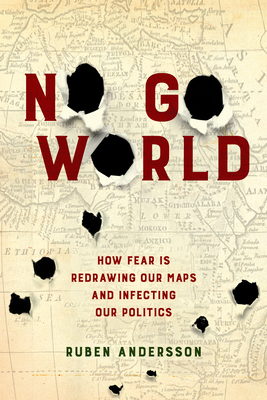 Only by developing a new cartography of hope can we move beyond the political geography of fear that haunts us.